360 pages | 16 B/W Illus. 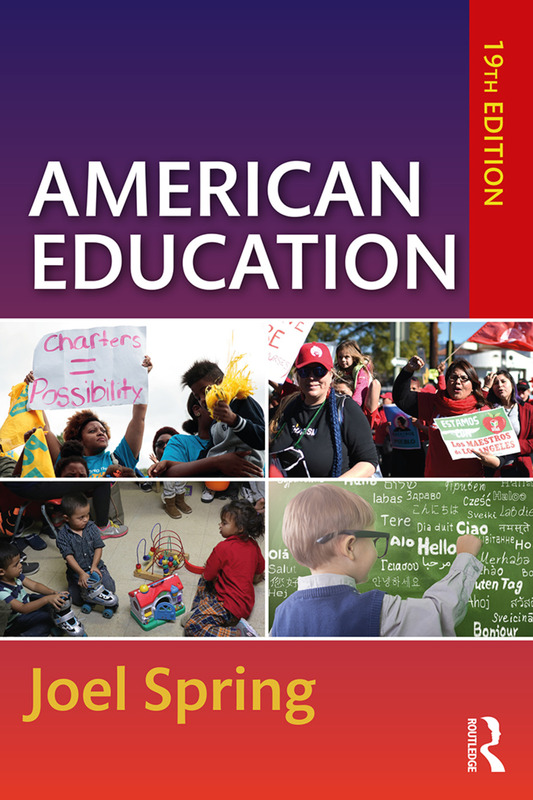 Featuring current information and challenging perspectives on the latest issues and forces shaping the American educational system—with scholarship that is often cited as a primary source, Joel Spring introduces readers to the historical, political, social, and legal foundations of education and to the profession of teaching in the United States. In his signature straightforward, concise approach to describing complex issues, he illuminates events and topics that are often overlooked or whitewashed, giving students the opportunity to engage in critical thinking about education. Students come away informed on the latest topics, issues, and data and with a strong knowledge of the forces shaping the American educational system. Joel Spring is Professor Emeritus at Queens College and the Graduate Center of the City University of New York, USA.